Question #1: Cup after restroom? Parshas Chukas tells us that after the passing of Miriam, the Jews were without water. Many daily activities, as varied as arising in the morning, praying, eating bread, clipping nails and exiting the lavatory require that we wash our hands, either before or afterwards (Shulchan Aruch, Orach Chayim 4:18, 92:7; Yoreh Deah 116:4, 5). The details of the laws that each of these washings requires vary, which people find confusing. Sometimes we are told to wash our hands alternately, and other times just the opposite. Sometimes we are told that the water may not have been used before, and other times there is no such requirement. Sometimes we require three washings, others only one; and still others do not even require water. This article will provide an overview explaining the basic various reasons and why there are, therefore, different halachic requirements, and then conclude with a brief guide to the instructions for the most complicated type of washing, the one required before eating bread. Certain activities or situations cause a ruach ra, an impure spirit, that is removed by washing in a prescribed fashion. Whereas the aim of both categories mentioned thus far is to remove contaminants, either physical or spiritual, the purpose of other ablutions is to create sanctity. An example is the rinsing of hands and feet by the kohanim prior to performing the service in the Beis Hamikdash. Washing hands prior to eating bread has many special requirements, and this is because this mitzvah is for yet a fourth reason, as I will soon explain. Each of the different reasons for washing has its own laws. This explains why the requirements vary, as we will soon see. The four reasons that we have now learned are not mutually exclusive – meaning that sometimes we wash our hands for several of these rationales. When this happens, the laws applicable for each reason must be met. Here is one example: Cleansing one’s hands after using the lavatory is required both for hygiene and because of ruach ra. I will soon demonstrate how this explains some of the halachos that apply to that particular washing. Our next step is to understand the basic requirements of each type of washing and the differences that exist between them. Halachah requires that a person clean his hands when they are dirty, or when he has touched his shoes or the parts of the body that are sweaty or are usually covered. When cleaning is only because of hygiene and not for any other objective, several lenient halachic rulings apply that do not apply when washing for one of the other reasons. The most obvious difference is that washing for hygienic reasons does not require water. It is sufficient to clean the soiled area in any way that one chooses, such as by rubbing one’s hands on a rough surface, by using alcohol or a disinfectant cleaning gel. The requirement is simply to insure that the dirt has been removed (Magen Avraham 92:5; Machatzis Hashekel 4:17; Kaf Hachayim 4:61). Similarly, washing for hygiene does not require cleaning hands a specific number of times. Another lenience is that someone who will not be davening or studying Torah is not required to wash his hands immediately, but can clean them when it is convenient to do so (Mishnah Berurah 4:41). On the other hand, there is a stringency that applies to washing for physical hygiene. Halachah prohibits reciting a brocha, praying or studying Torah until the dirt has been removed (Magen Avraham 227:2). A second category of ablutions includes those performed to remove ruach ra, spiritual contaminants that may be harmful if not removed properly. These include: Washing after clipping fingernails or toenails, after giving or receiving a haircut, after leaving the lavatory or mikveh, after visiting a cemetery or attending a funeral. As opposed to hygienic cleaning, washing to eliminate ruach ra requires using water (Shulchan Aruch, Orach Chayim 4:18) and necessitates washing until the wrist (see Kaf Hachayim 4:61). Another stringency that applies when removing ruach ra is that one should wash one’s hands as soon as possible, in order to purge the ruach ra without delay (see Magen Avraham 4:18 and Pri Megadim; Elyah Rabbah 4:12; Kaf Hachayim 4:63). Yet another stringency is that one should be careful not to touch food without first washing away the ruach ra. However, if one did touch food prior to washing, the food may be eaten (Shu’t Shevus Yaakov 2:105; Artzos Hachayim, Eretz Yehudah 4:4; Darchei Teshuvah 116:35). On the other hand, there are a few lenient rulings that apply when one is washing only to remove ruach ra: One may recite brachos, pray or study Torah even though one is contaminated by ruach ra and has not yet had the opportunity to wash properly. A second leniency that applies is that, with the exception of washing negel vasser and those ablutions required from having had contact with meisim (after visiting a cemetery or attending a funeral), these washings do not require pouring on one’s hands from a vessel (see Kaf Hachayim 4:61). If one does not have a vessel handy, he may wash negel vasser without one (Shulchan Aruch, Orach Chayim 4:7 and commentaries). I mentioned above that after using the bathroom one washes both because of hygiene and because of ruach ra. Since each of these reasons has its own requirements, washing after using the lavatory carries both of them. For the reasons of hygiene, it is sufficient to wipe one’s hands or use a gel sanitizer. However, this cleansing does not remove ruach ra. Therefore, if there is no water available, one may wipe or rub one’s hands or use alcohol or gel sanitizer to clean them. This cleaning will allow someone to recite asher yatzar, daven, and learn Torah. Notwithstanding the fact that his body is still contaminated by a ruach ra that he should try to remove as soon as possible, this does not prevent him from reciting brachos, praying or studying Torah. Someone in this situation should wash his hands properly with water at his first opportunity. There are different varieties of ruach ra, some more potent than others. Therefore, some activities require pouring water three times on each hand, whereas others require only one pouring on each hand (Seder Hayom, quoted by Kaf Hachayim 4:61). Clipping nails, and giving or receiving a haircut involve a lighter ruach ra that requires only one washing (Elyah Rabbah 4:12). On the other hand, after leaving the lavatory or mikveh, visiting a cemetery or attending a funeral one should wash each hand three times. When washing one’s hands more than one time to remove ruach ra, one should wash them alternately – first the right hand, then the left, then the right, and so on until each hand has been washed three times (Ben Ish Chai, Tolados 16; Kaf Hachayim 4:62). Both right-handed and left-handed people should follow this procedure (Mishnah Berurah 4:22). Even when the type of ruach ra requires that we wash hands three times, one who is able to wash his hands only once may touch food afterwards (Biur Halachah 4:2 s.v. yedakdeik). should wash the child’s hands afterwards (Kaf Hachayim 4:92). A barber needs to wash his hands after giving a haircut, since he touches people’s hair (Kaf Hachayim 4:92). Yet another reason for washing is to create more kedushah, similar to the kohanim washing their hands and feet before performing the service in the Beis Hamikdash (see Ramban, Shemos 30:17). For example, the kohein washes his hands until his wrists before duchening. Another activity that requires washing because of kedushah is davening shemoneh esrei (Shulchan Aruch, Orach Chayim 233:2). The laws germane both to washing before eating and washing prior to bensching are also because of kedushah, although in both instances there are other reasons to require these ablutions. Whereas washing for hygiene or to remove ruach ra never requires a brocha, some washing performed because of kedushah does require a brocha. Hygiene: When a person is sleeping, he touches private and sweaty parts of his body. To remove ruach ra: According to the Zohar (Parshas Vayeisheiv), a ruach ra descends upon a person while he sleeps and remains on his hands when he wakes up. Washing his hands three times removes it. For kedushah: Every morning a person is like a kohein in the Beis Hamikdash who must wash from the Holy Laver (the kiyor) before beginning the daily service (Shu’t Rashba #191). Because we wash negel vasser for all three reasons, the rules of negel vasser include stringencies from each of the categories. Since the washing is for hygiene, one may not study Torah or recite prayers or blessings before washing. Since it is to remove ruach ra, one should wash as soon as he can. Since it is for kedushah, one recites a brocha upon this washing! I am categorizing netilas yadayim, washing prior to eating bread, as a fourth category, because its laws are so different from the rest of the washings. For example, this washing has special instructions as to what type of water may be used, and requires that one use a vessel and dry one’s hands afterwards. Chazal required that we wash hands in a very specific way prior to eating or handling terumah. To make certain that this takkanah was observed correctly, they extended the requirement to anytime a person eats bread. To create increased sanctity prior to eating our daily bread. The reason Chazal required washing hands before handling terumah is because of a concept called tumas yadayim. Handling different items contaminates the hands to the extent that should they touch terumah, eating the terumah would be prohibited. This tumah is removed by washing one’s hands in a prescribed way. A minimum of a revi’is of water must be used, and must be poured by a person from an intact vessel meant for holding liquid. The entire hand that must be washed should be rinsed the first time one pours water onto the hand. If the water poured the first time did not wash the entire hand, one must dry the hand thoroughly and begin the procedure again. With this overview, let us now study the proper procedure for netilas yadayim. Prior to washing one’s hands, one should check that there are no intervening substances adhering to his hands. Any item that one prefers to remove, such as dough under one’s nails, will invalidate the netilas yadayim if it is not removed beforehand (Shulchan Aruch, Orach Chayim 161:1 and Mishnah Berurah 161:1). The water used for netilas yadayim must not have been previously used. For example, water that was used to rinse clothes or dishes or to cool off a baby bottle may not be used afterwards for netilas yadayim (Shulchan Aruch, Orach Chayim 160:2). Similarly, water kept in a basin that a workman used to cool off his tools may not be used for netilas yadayim (Shulchan Aruch, Orach Chayim 160:3). Although water used for netilas yadayim does not have to be drinkable, one may not use water that is so salty, bitter or malodorous that a dog would not drink it (Shulchan Aruch, Orach Chayim 160:9). Netilas yadayim must be poured from a vessel large enough to hold at least a revi’is, approximately three ounces of liquid (Shulchan Aruch, Orach Chayim 159:1). A cup that is cracked or leaky may not be used (Shulchan Aruch, Orach Chayim 159:1). One may also not use a cap or other item that is not meant to hold water, even if, physically, it can (Shulchan Aruch, Orach Chayim 159:4). Optimally, one should pour a revi’is of water on one’s hand each time he washes. As a rule, the Gemara advises using water generously when pouring for netilas yadayim, noting that this is a segulah to avoid poverty (Shabbos 62b). Washing for netilas yadayim requires that the water be poured over one’s hands by a person. This is called koach gavra, literally, the direct force of a person. Turning on a faucet and placing one’s hands under the water does not accomplish netilas yadayim for two reasons. First of all, the water did not fall from a vessel, and, second of all, the water was not poured directly by a person. The early authorities dispute whether netilas yadayim requires washing until the wrist or only until the knuckles. The Shulchan Aruch rules that one should preferably wash until the wrist (Orach Chayim 161:3). This means that when pouring water for the first time onto one’s hand, one must be careful to pour in such a way that every part of the hand gets wet. According to almost all opinions, holding the fingers upright while washing is not required when someone uses at least a revi’is of water and is careful that the water touches every part of his hand. Since most halachically concerned people wash their hands this way, I will leave the details of this discussion for another time. It is preferred that even someone who washed his hands the way we just described should pour water onto his hands a second time. One should pour twice on one’s right hand, and then twice on one’s left hand (Chayei Odom 40:1; Mishnah Berurah 162:21). (This contrasts with washing because of ruach ra, where we wash our hands alternatively, as we learned above.) If a hand was washed with less than a revi’is of water, then halachah requires that one wash the hand a second time (Shulchan Aruch, Orach Chayim 162:2). After washing the hands, one should rub one’s hands together (Tosefta, Yadayim 1:2). This is done in case there is some dirt on them that has not already been removed (Rema, Orach Chayim 162:2, as explained by the Bach). This last step is not essential (Mishnah Berurah 162:24). One should be careful not to rub one’s hands together until both hands have been properly washed. The Gemara teaches that one’s hands must be wiped dry after washing (Sotah 4b). Must one’s hands be completely dry before you begin washing netilas yadayim? The authorities dispute what the halachah is in this case. As we learned above, someone who, when pouring water for the first time, rinsed only part of his hand, must dry his hand thoroughly and begin the procedure over. The authorities dispute whether one must always have dry hands when beginning netilas yadayim or whether one may perform netilas yadayim even though his hands are wet or the handle of the cup is wet. According to the Magen Avraham (162:10) and the Mishnah Berurah (162:27), one may begin washing netilas yadayim, even though one’s hands are wet. The Chazon Ish (Orach Chayim 24:20) disagrees, contending that one’s hands must be dry when one begins washing netilas yadayim. 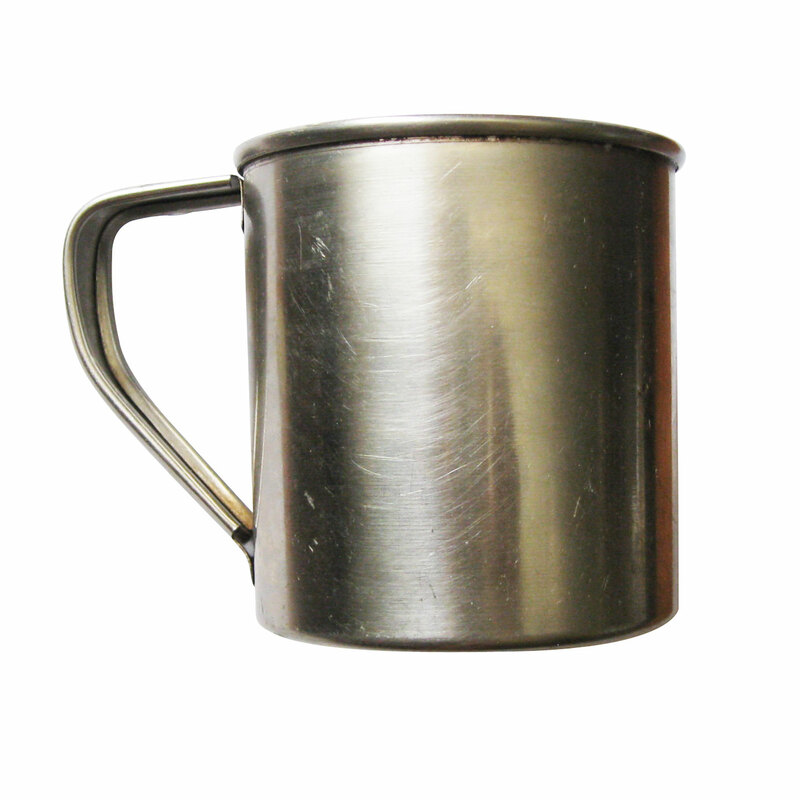 Therefore, the handle of the cup must also be dry or, alternatively, one may grip the handle of the cup with a towel or some other item that keeps his hands dry until he washes netilas yadayim. Based on what we have learned, we can now present the optimal way to wash one’s hands prior to eating bread. First one should check that one’s hands are clean. If they are not, he should clean them, and, according to the Chazon Ish, dry them. According to the Chazon Ish, the handle of the cup and the faucet handle must be dry, or one should be careful to touch the handles using something that will keep the hands dry. One should pour twice over all parts of one’s right hand, and then pour twice over all parts of one’s left hand. The first pouring on each hand should be with at least a revi’is of water. One should use water generously and rub the hands together after washing. One then recites the brocha of al netilas yadayim prior to drying one’s hands. The Gemara teaches that the rabbinic laws are dearer to Hashem than the Torah laws. This helps explain why there is such a vast halachic literature concerning this particular mitzvah.